Once again, Hyperlite Mountain Gear will be traveling to Damascus, Va for the 28th annual Trail Days festival celebrating this year’s 4,000-5,000 Appalachian Trail thru-hikers. In addition to the majority of thru-hikers that will be in attendance, the festival draws an additional 15,000-20,000 hiking enthusiasts and lovers of the Appalachian Trail from around the U.S., North America, and the entire world. Hyperlite Mountain Gear will be loading up a few cars and trucks on the morning of May 13th to make the 1,000 mile journey from Maine to southwestern Virginia for its fourth showing at the festival. Hyperlite Mountain Gear will have a booth set-up demonstrating its ultralight mountain gear and will also have a large stock of inventory available for sale. We might even choose you for a gear sponsorship! 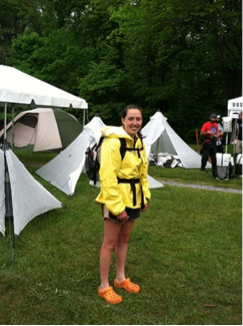 The post Trail Days in Damascus, VA – May 15th to 18th, 2014 appeared first on Hyperlite Mountain Gear Blog.